I occasionally get asked how I go about organizing my video game collection. This happens when it pops up on my Instagram or even when someone comes over. You would assume it was simply alphabetized, but when it comes to organization I’m far from simple. 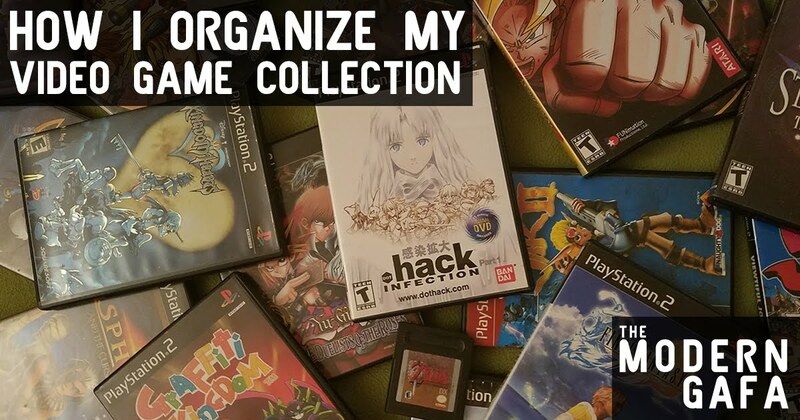 Read on to find out how I organize my video game collection. 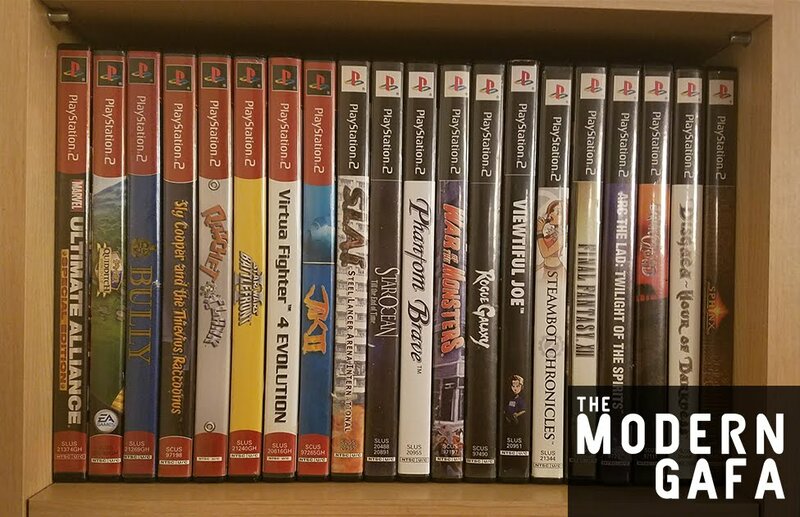 When I was a kid I organized my PS2 games and my DVDs by the color of the case’s spine. That, I will admit, is stupid. Aesthetically, it looked kinda nice and really popped on my wood shelving that was built into my childhood bedroom. I promise I’ve gotten better, but it still turns people’s heads when I explain my system. Presently, most of my video games are on a single shelf that will be able to hold a maximum of 100 standard DVD case style games. All of my Digimon games are with my Digimon collection which is in a different part of the living room. There is occasionally a split here and there. Final Fantasy XII is technically a Final Fantasy game, but it’s not a Final Fantasy X game. It’s also awful. Similarly, I have my Dragon Ball Z Budokai games together because they’re all fighting games, while Dragon Ball Z Sagas is an action adventure game, and awful, so it gets placed on a lower shelf. Do I even need to explain why Virtua Quest isn't next to Virtua Fighter 4 Evolution? The Greatest Hits branding is kinda gaudy so I clump those together at the start of their own shelf. It works anyway: most of them are American made action adventure collect-a-thons that stand out among my mostly Japanese RPG collection. Anything on the way bottom shelf is kinda just crap I’ve picked up almost accidentally. My shelf can hold 100 games and that’s a pretty good number to stop at, so a few filler titles here and there isn’t going to hurt anyone, especially if they're at the bottom. 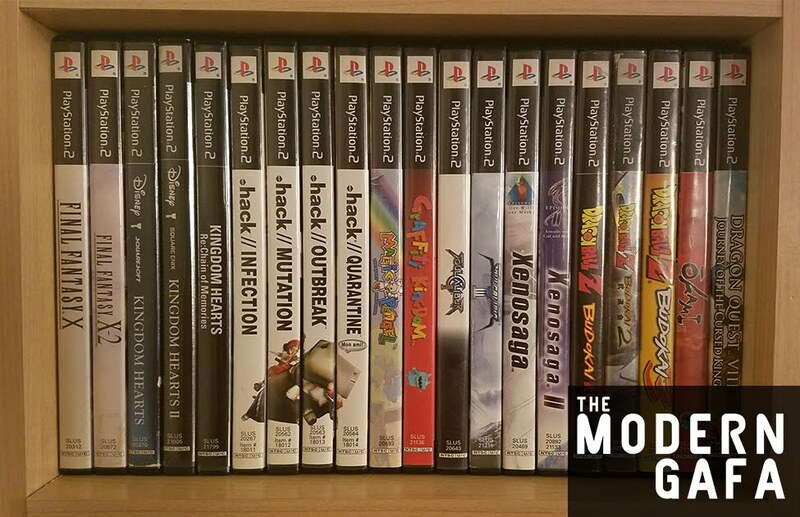 My few non-PS2 games are shoved down there too in no particular order. Organizing by favorites and quality isn’t always perfect. It’s certainly better than doing it by color. 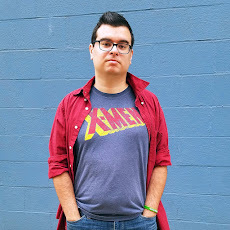 I am constantly changing where games rank in my head. Also, the top shelf is really tight so to play some of the best games ever made I have to pull out the entire shelf and hope nothing falls. But at the end of the day, when I look at my shelf, I see all my favorite games standing high above the rest. How do you organize your video game collection? And what do you think of my method? Let me know in the comments below?